Fiontan Firth-Williams was invited for trials By Gloucester Cricket Board and has been selected for the 2018 u13 Bristol District winter training squad Well done Fiontan - a fantastic achievement! Please click here to view a letter from Mrs Butler regarding the ongoing financial difficulties being faced by Cotham and all schools nationally due to ongoing reductions in funding. Please see the letter from Public Health England here. Please could we remind all parents and carers to be considerate of other road users when driving to and from school, ensuring that you drop your children off in safe places without endangering them or other pedestrians. Please observe the zig zag lines outside our Student Entrance/Exit. It is not only dangerous for motorists to park in this area, but can restrict the view of children crossing the road and of motorists driving down the road. We have been invited by the Widening Participation team at Bristol University to visit with a group of Year 10 students for a Black History Month event, celebrating Black Leadership and Empowerment, on Tuesday 17 October, 9.45am – 2.30pm. There will be a number of activities during the day, including a tour of the university, creative workshops and talks. Those students who have been invited to participate will have had a letter home. If you have any queries please email Mrs Kelly. Click to see the Year 10 Independent Learning and Homework timetable. We are having a Year 11 Revision Evening for parents on Wednesday 18 October from 5.30 to 6.30pm. During the meeting we will have representatives from English, Maths, Science, French, German, Geography and History who will describe how to support your child with revision throughout Year 11 in advance of their mock exams which commence on Monday 13 November. We would like to see as many of you there as possible and hope you are able to attend. Please enter via the Main School Reception (on Cotham Lawn Road) and take a seat in the main hall for a prompt 5.30pm start. Mock exams for Year 11 will commence on Monday 13 November until Tuesday 21 November. All exams will take place in the Sports Hall unless otherwise stated. Students must be in full and correct school uniform and have their lanyard with them at all times. A copy of the mock exam timetable can be seen here. All students will be given a copy of their own individual timetable showing their seating plan, which they must carry with them at all times. Some students will appear to have exam clashes but their individual timetable will confirm which exam they should attend. Any exam missed as a result of a clash or absence will be completed during the afternoon of Tuesday 21 November. It is important that every student ensures that they are in school and fully prepared in order to complete these mock exams. Exam rules are strict and we want the mock exam period to replicate the period of GCSE exams as closely as possible. Students are not permitted to take mobile phones into the exam hall. We are unable to guarantee the security of students mobile phones whilst students are in exams and advise all students to leave their phones at home. Click to see the Year 11 Independent Learning and Homework timetable. The National Citizen Service is offering 4-week summer placements focusing on team building skills. This will include involvement in social and community action projects and fundraising activities. It is a great addition to any young person's C.V.
Also included is a 2-week stay in the University halls in Bristol - excellent preparation for any student planning to go on to higher education. For students who sign up before the end of October the fee is reduced to only £35 (normally £50). Bristol Drugs Project and Teenage Cancer Trust both visited Charnwood this week. BDP did a lunchtime Q&A session, whilst TCT spoke to Year 12 to break down myths about cancer and teach them how to protect themselves against it where possible. Year 9 travelled to Oasis Brightstowe for their most recent rugby festival this week. Along with the hosts, our other opponents were Fairfield and Orchard school - Click here to find out more. 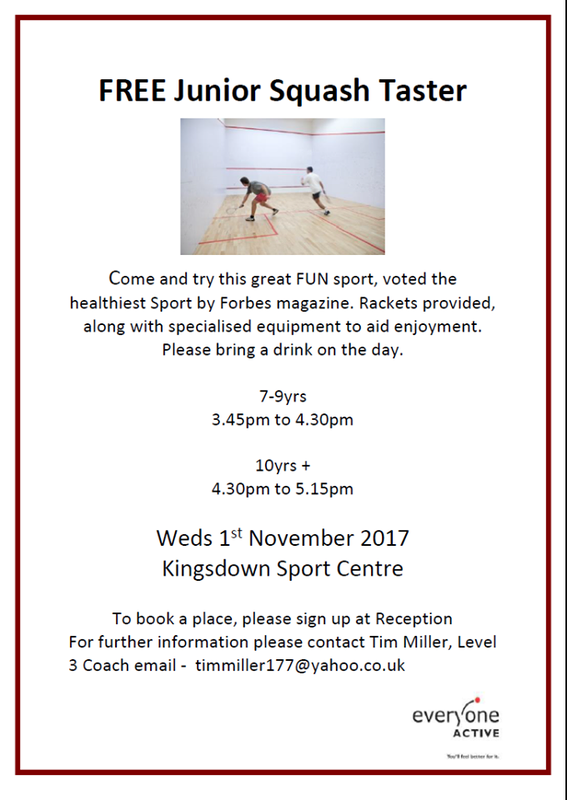 Please click here for information about a great opportunity to play squash through some FREE taster sessions at Kingsdown Leisure Centre. If there are any students who have still not had contact from BPM or an instrumental teacher regarding tuition this term, please contact Mr Campbell and he will look into this for you. This weeks Art WOTW goes to Amelia Spooner with her brightly coloured collage inspired by Cecil Touchon. 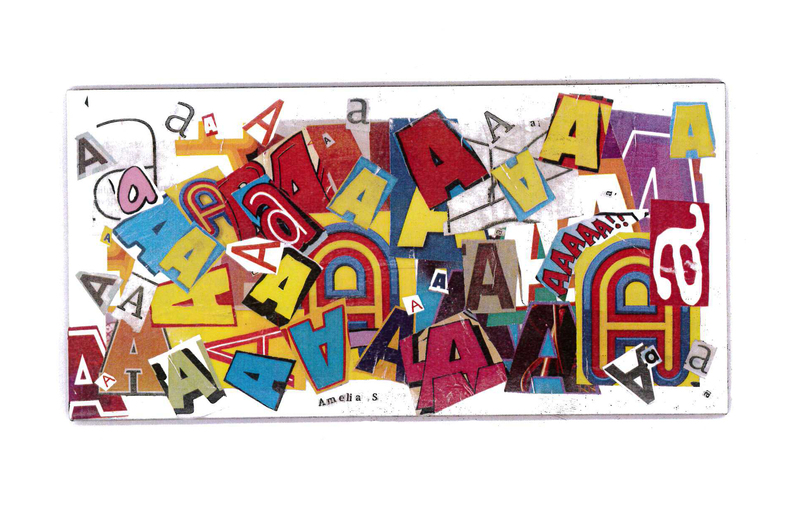 Amelia took the time to papier-mâché the individual letters onto a tile and then photographed the finished piece. Click here to view. This Thursday a small group of our Year 12 and Year 13 Art and Photography students attended the ARTiculation Discovery Day at Spike Island. The students developed their understanding and engagement with art through personal observation, discussion and research, culminating in some fantastic presentations. Click here to view photos and video. Quick! Get your tickets before it is too late! They cost 50p each and all money raised will be donated to our house charity, Off The Record who provide young people with free, confidential mental health support. Lots of our students have benefited from the work of Off The Record so please buy your tickets from the Delta prefects in the hub during break time Monday, Tuesday or Wednesday. The draw will take place on Thursday 19 October in the hub at lunchtime. Click here to view the poster. We raised an amazing £156.50 for The Rainbow Centre for Children selling cakes in the hub on Friday break time. Thank you to The following Prefects and students from Year 8 and Year 9 who gave up their time on Thursday to help make the cakes: Jasmin Heyer, Kasota Thomas, Rena Osma, Omayma Adow, Frankie Bonaddio, Anas Mohamed, Ishba Mahmood, Mathilda Edmunds. We would like to thank Mr Saunders and PC Hatter who donated cakes. Thanks also to Mr Starr and Miss Bogis for taking all the photos. Students and staff had fun in the Sigma Photo Booth. Click here to view images. We would like to thank Summit Services who sponsored our event and provided the ingredients. Students can use the Reading Cloud from home to keep track of their library loans and see what resources the library has. It is also a safe online space to talk about books online with their Cotham friends, review books, create a Home Library and keep a reading blog. Click here to access or visit the Library page of of the school website. If you have access to an iPhone, iPad, iPod touch or Android phone, then you can also download a free App called iMLS to access the library from any of these devices. The app is available from the App Store and Android Market. Black History Month (BHM) is an annual commemoration throughout October that acknowledges the importance of African and African-Caribbean culture and history, using a number of events, such as dance, music, film, theatre, talks, workshops and much more, designed for all age groups. BHM has been celebrated widely around the world since the 1920’s. In Bristol, the month of October is about bringing together the many different ethnicities that make up this multicultural city to display their Heritage using a variety of platforms such as films and exhibitions. Click here to view the exciting programme of events taking place across Bristol in the weeks ahead. Please click here to the view the programme of events taking place across Easton and St Paul's during the October half term. This is the online system by which all appointments must be booked for Parents’ Evenings. Booking will open about a month before the Parents’ Evening and you will be emailed to let you know. Click here to view the Parent’s Guide to PES. Click here to access PES. Please click here to view the compulsory uniform requirements of Cotham School, along with visual examples of uniform and details of our uniform suppliers. Please note that Pre-owned uniform is available on the first Friday of each new term from 2.30pm to 4.00pm, in the Main Reception area. The next sale is on Friday 3 November. If you would like to help with this sale or future sales, please let Main Reception know. https://www.myfreeschoolmeals.com to check if your child is eligible for Free School Meals or to apply.